The sediment flux data, measured from a dry-hot valley of the Longchuan River, a tributary of the lower Jinsha River, were analyzed with Mann-Kendall test, Seasonal Mann-Kendall test and Sen’s test. In both the upper reaches (Xiaohekou) and the lower reaches (Xiaohuangguayuan), the sediment fluxes showed a significant increase from 1970 to 2001, despite the fact that the water discharge did not change significantly during the period and numerous reservoir constructions which contribute to the trap of sediment. This can be attributed to the intensification of human activities, especially the intensification of human activities, especially the activities related to land surface disturbances such as deforestation and afforestation, expansion of agriculture land, and road constructions. This increase is more significant in the lower reaches of the river observed at the place of Xiaohuangguayuan due to the dry-hot climate. 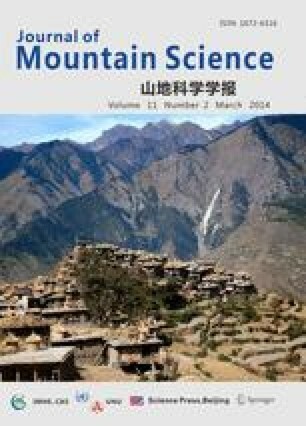 The profound increase in sediment flux has significant implications for effective management of the sedimentation problems of the one-going Three Gorges Reservoir.